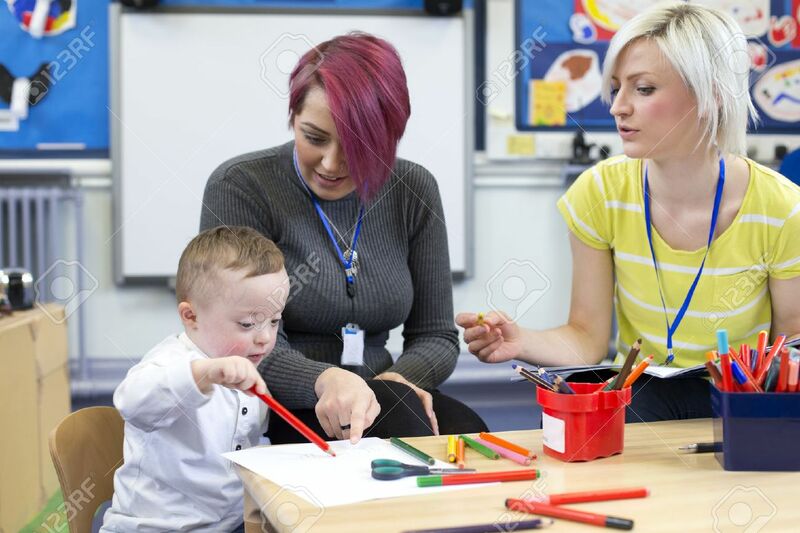 Nursery Teacher Sitting With A Parent And Her Down Syndrome Son In The Classroom. They Are Discussing The Little Boys Progress. Royalty Free Fotografie A Reklamní Fotografie. Image 60255962. Reklamní fotografie - Nursery teacher sitting with a parent and her Down Syndrome son in the classroom. they are discussing the little boys progress. Nursery teacher sitting with a parent and her Down Syndrome son in the classroom. they are discussing the little boys progress.